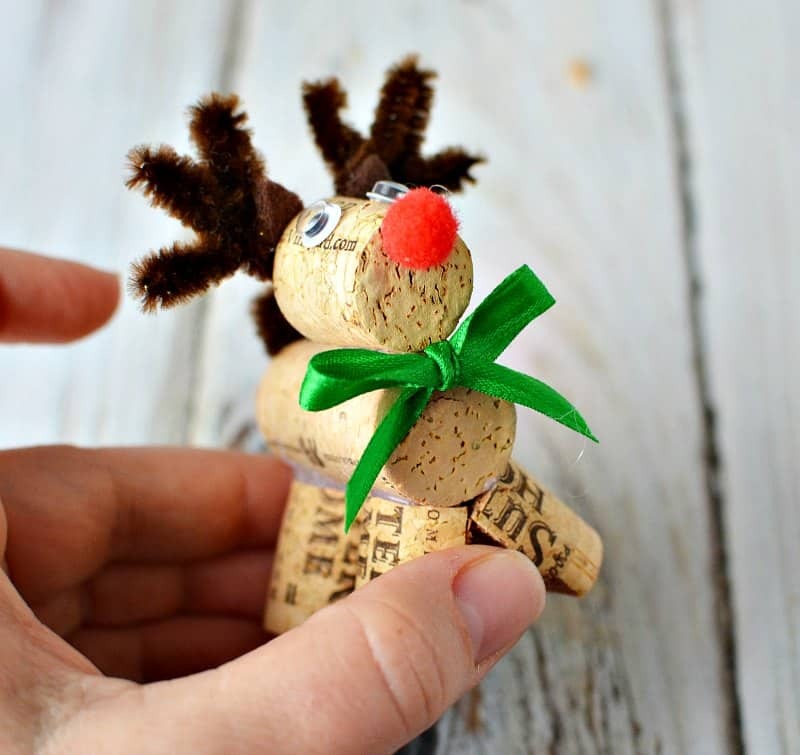 Make wine cork reindeer with a few simple craft supplies and used (or new) wine corks! 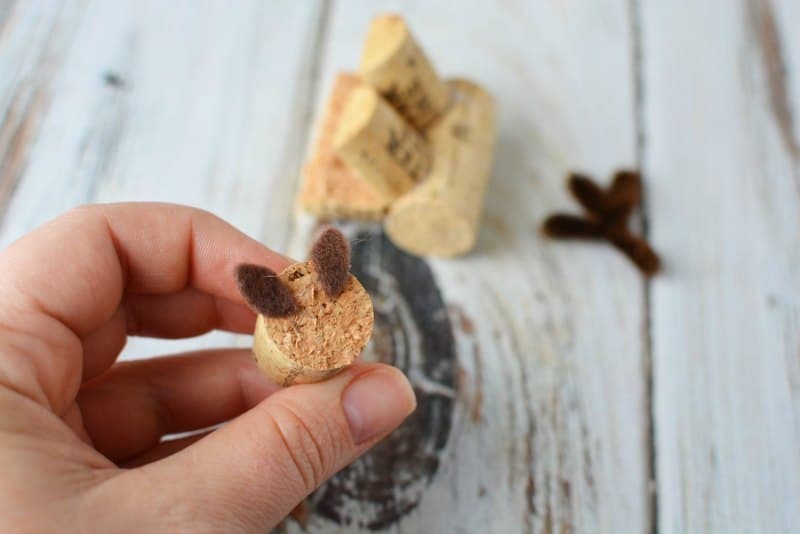 We are wine cork obsessed! 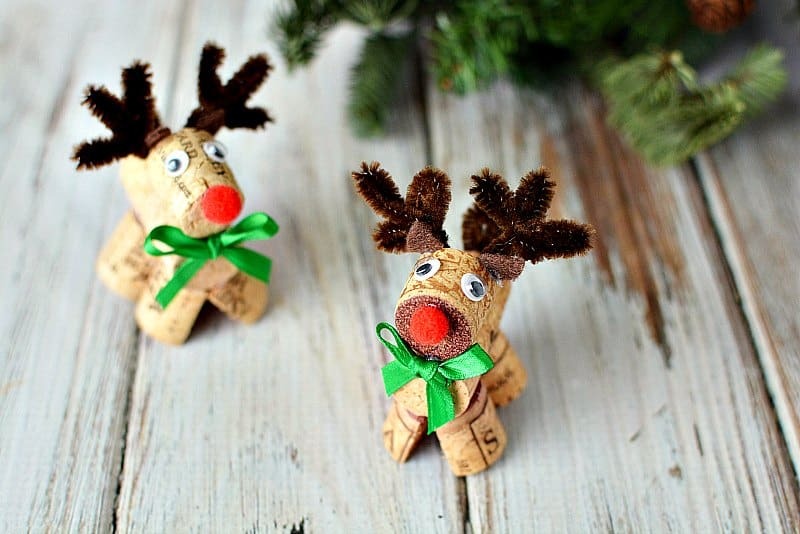 They make great DIY Christmas tree ornaments or in the case of these little reindeer, Christmas decorations. Wrap them up and give them away to friends and neighbors. 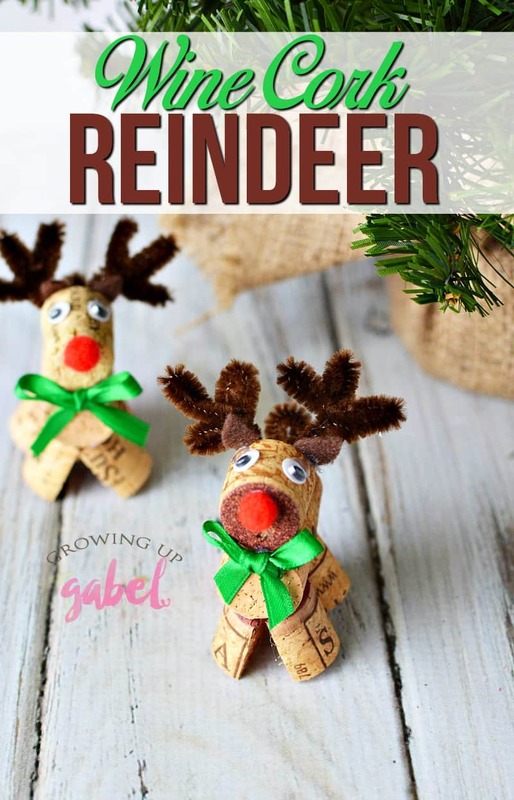 Once the corks are cut to make the reindeer pieces, this is a great craft to make with kids. Cut two of the three corks in half. Two halves will make the legs and another half is the head. The last half can be discarded. 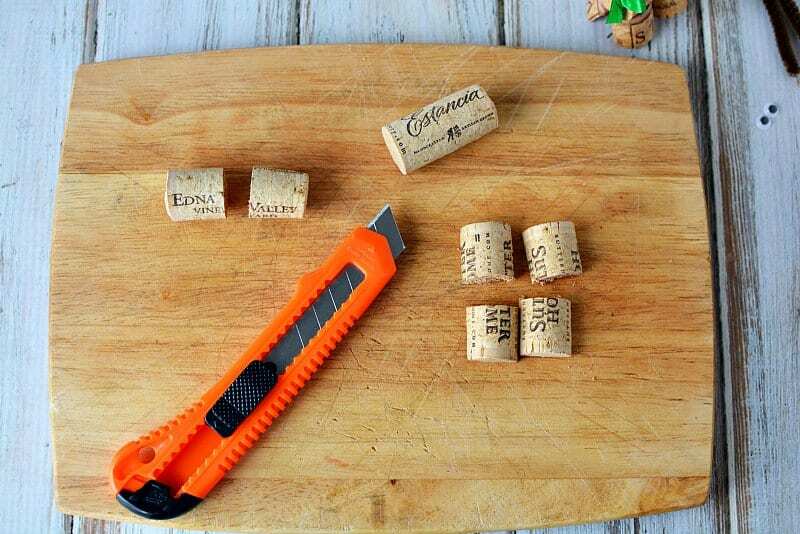 To create legs, cut one cork in half lengthwise and then those two pieces in half with a utility knife. Next, attach the legs to the body of the reindeer. 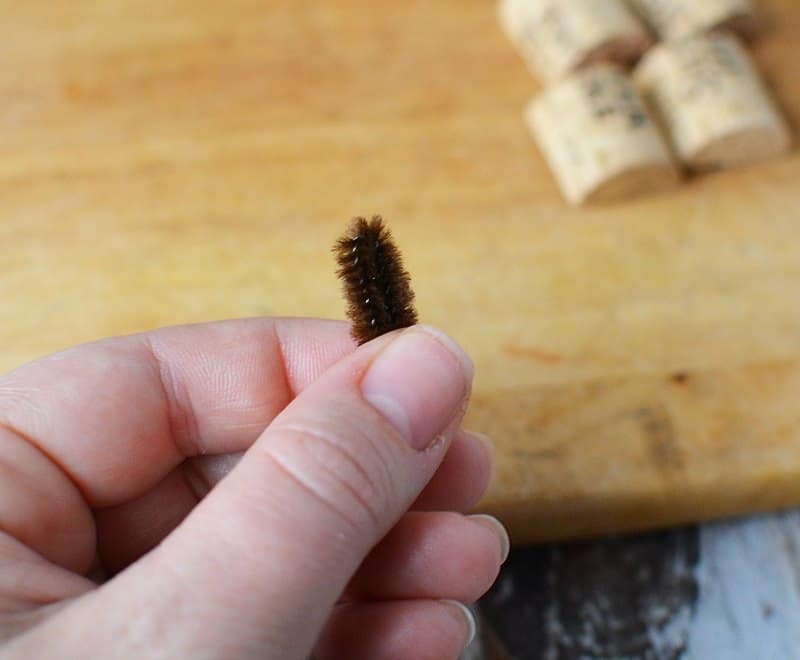 Glue legs onto a whole cork with hot glue. Each reindeer gets 4 legs – 2 sets of 2. Put a small dab of hot glue on the flat ends of two “legs”. 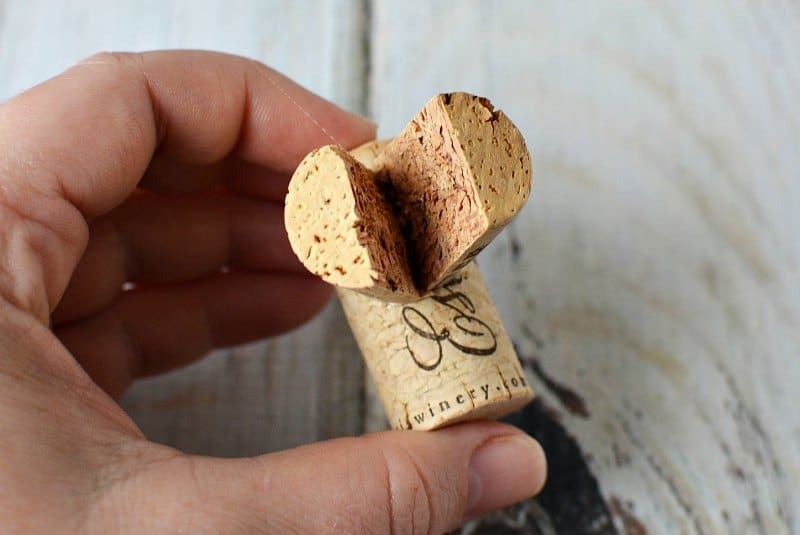 Secure on to the front and back on the whole wine cork. 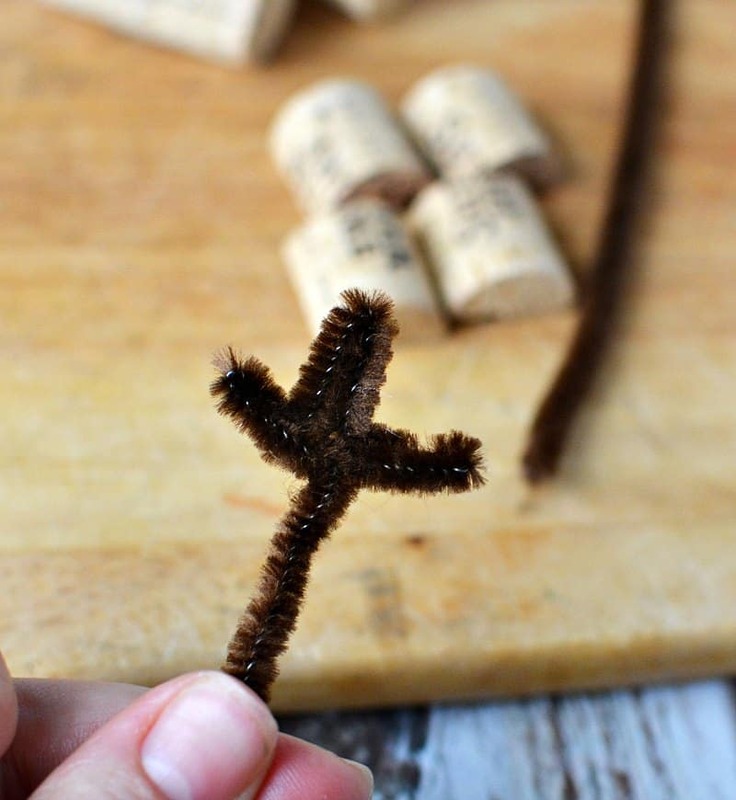 Cut 1″ length of pipe cleaner and fold in half. Attach to the back of the body with hot glue for a tail. Cut two small ears out of brown felt and attach to the back of one the head (half of a cork) with hot glue. The brown we faded in to the antlers because they were the same color brown. You may want to choose a lighter brown for either the antlers or the felt ears. 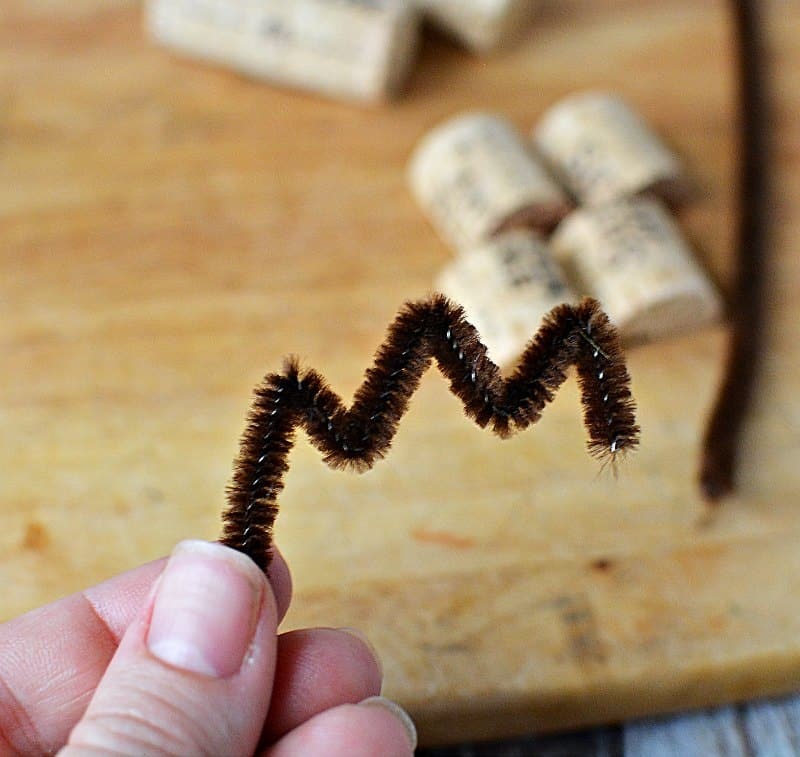 Cut the remaining piece of pipe cleaner in half and fold into a zig zag as shown. Fold the pieces together to create an antler shape out of the pip cleaner. Repeat with another pipe cleaner to make two antlers. Attach to the back of the head with hot glue. Glue the head onto the body. Add eyes, nose and bow around the neck to complete the reindeer! Awesome project! I don’t have hot glue. Can elmer’s white glue or liquid nails be used as an alternative? Yup you can use craft glue. It’ll just take longer to set and you may have to hold things on to let them set up. Oh my gosh, these are so cute!! 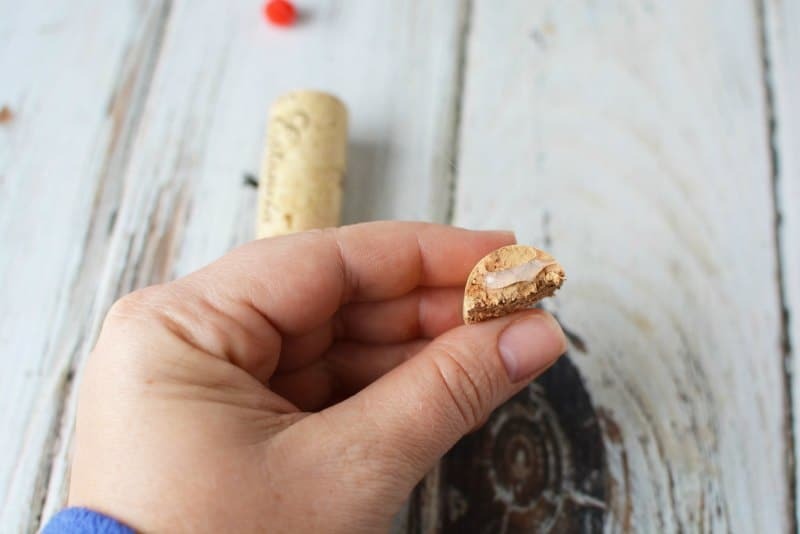 I love that this could also be a repurposing/upcycling project if you collected corks from empty wine bottles 🙂 Thanks for sharing at the Friday Favorites linky party. I hope you’ll come back next week to link up your projects so I can stop by again! 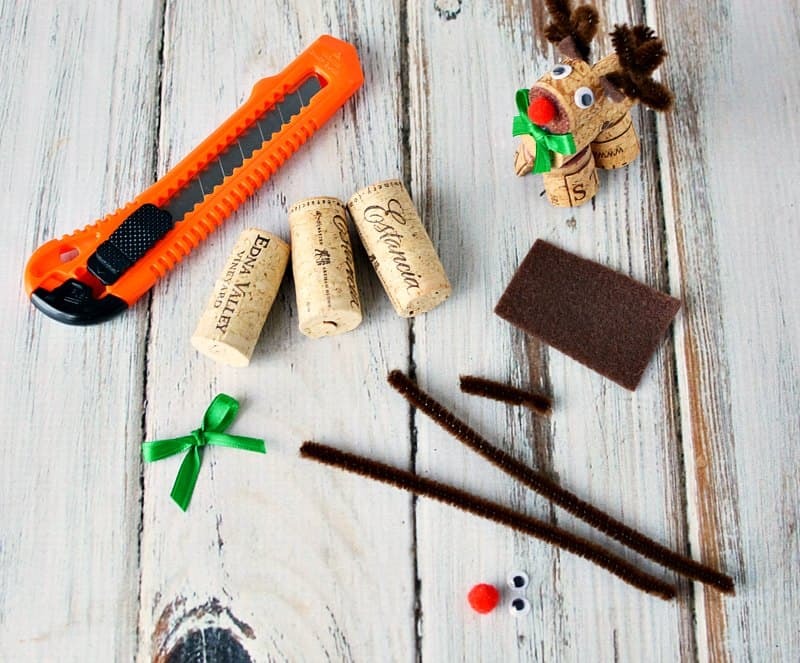 Camille, these reindeer are just the cutest Christmas project ever! 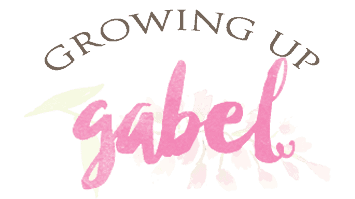 so excited to feature you at our party #308 this week! Oh these are adorable!! 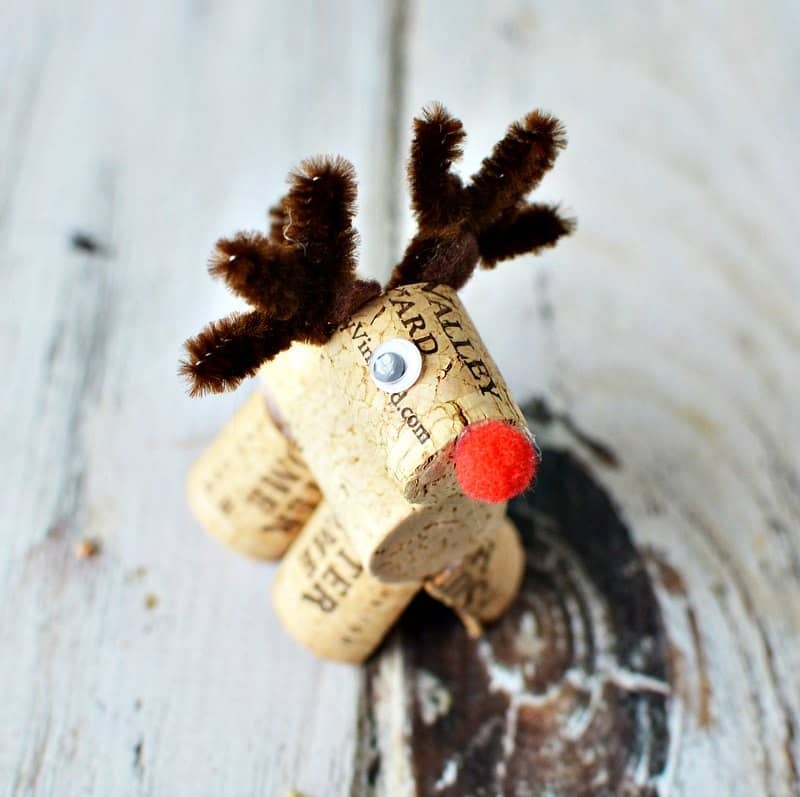 This makes me want to start drinking wine just start crafting these adorable reindeer. Oh my!! They are so adorable. 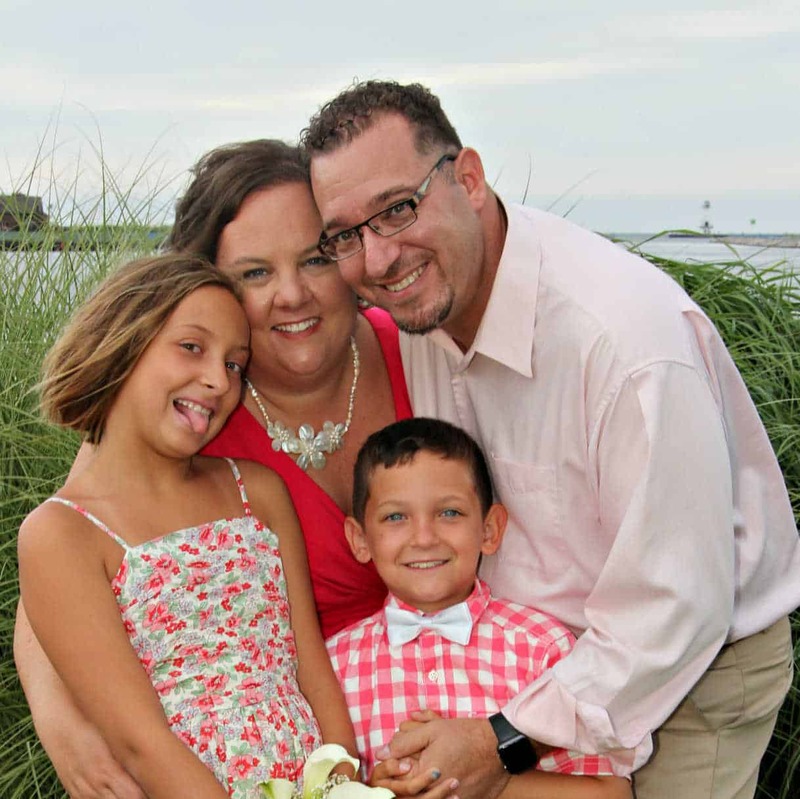 Thank you for linking up to More The Merrier Monday. Awww! These are super cute!!! !